Let this luxurious leather-seated Mercedes people carrier convey you in comfort round some of the city’s most evocative Titanic sites. Tour guide Susie Millar’s great grandfather Tommy Millar worked on, and perished with, the famous ship... and it is this unique connection that makes the tour particularly poignant. The 3hr tour begins with a DVD presented by local TV news reporter Susie who elaborates on the family’s Titanic story - most memorably the two pennies Tommy left behind, telling his family to keep them until his safe return. The pennies remain in the family to this day and are shown as part of the tour. Susie then drives to to the former home of Titanic's chief designer Thomas Andrews - now the HQ of the Irish Football Association and still with its original sweeping staircase and stained glass window. The tour then dips into Queens Island where you can see inside the old Harland and Wolff HQ, visit Titanic's launch site and marvel at the new Titanic Belfast visitor attraction. The final stop is the City Hall’s Titanic Memorial which bears the names of the 22 Belfast men who died when the ship sank on April 15, 1912... including that of Assistant Deck Engineer Thomas Millar. All in all, a thoroughly relaxing way to explore Belfast’s Titanic story, and in the company of someone who knows the story like no other. Pick-up on request. 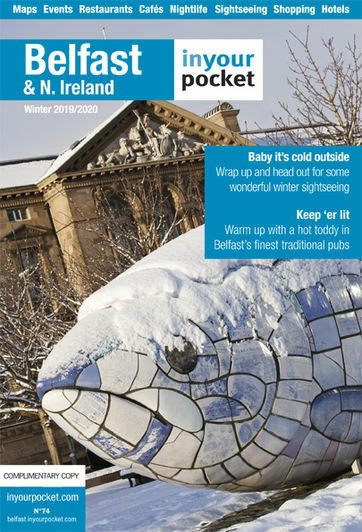 Giant's Causeway and bespoke Belfast Tours also available. £30pp - max. 6 people. Child and group discounts available.